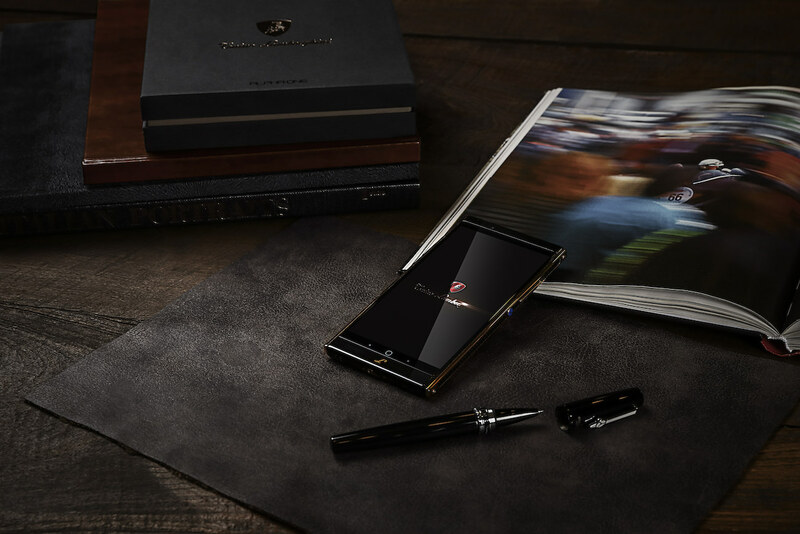 Alpha One Smartphone combines Italian elegance with Korean high technologies that ensure Tonino Lamborghini a new success after Tauri88 smartphone. 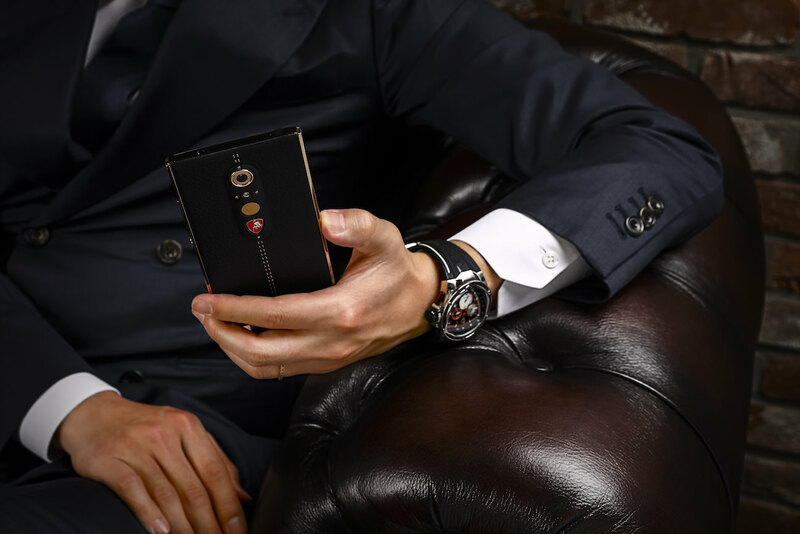 As today are emerging a new trend in luxury high-tech, Alpha One Smartphone will more than thrill connoisseurs and performing objects with unparalleled style amateurs. Aimed to a personal and professional use, it is only equalled by the elite it would love to seduce, a community of Alphas, as its name indicates. 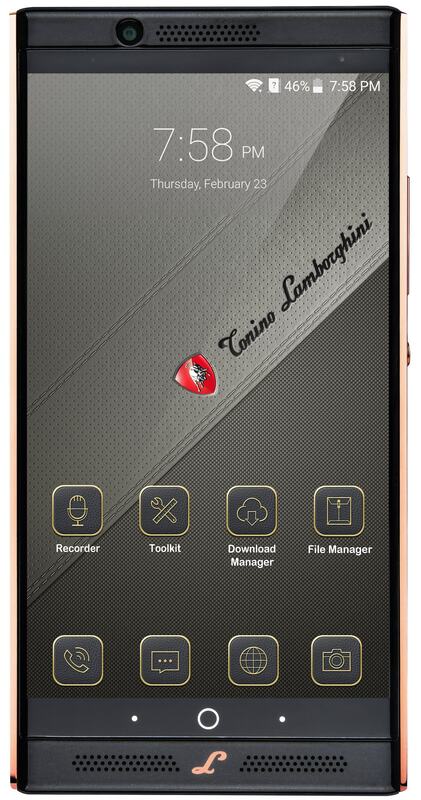 On the first side you have the country of refinement and on the other side the country of high-end technologies, so you can easily understand why Tonino Lamborghini Alpha One Smartphone is truly unique. 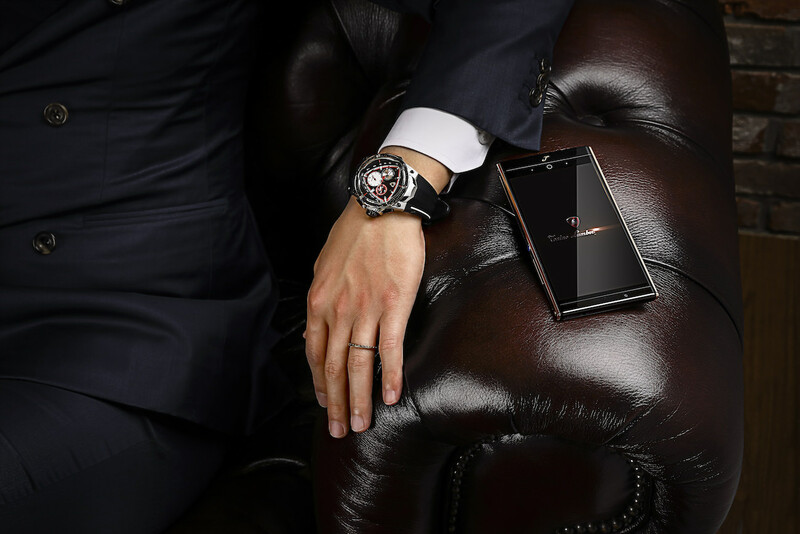 Mixing elegance and strength, the smartphone reveals breathtaking allure and unparalleled performances. 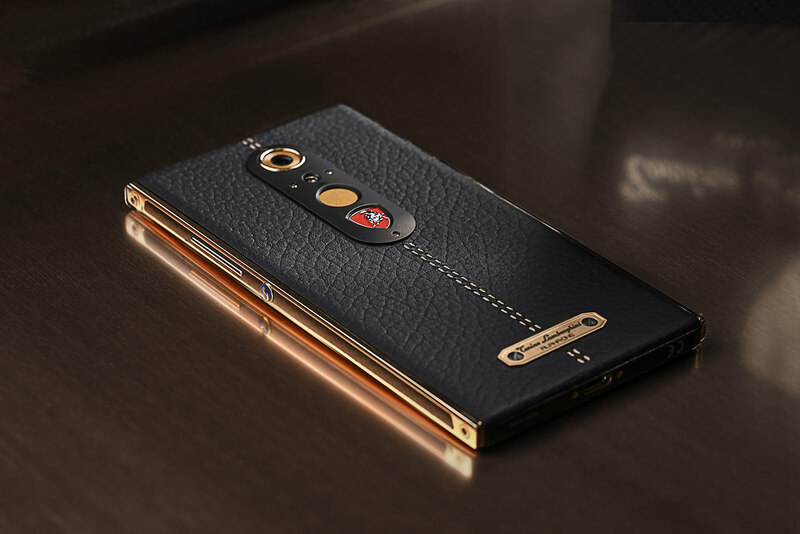 Then Alpha One Smartphone appears to be manageable, limpid and never deceives us. It represents the perfect compromise between power and elegance, thanks to the use of quality materials, beginning with “liquid metal”, an ultra-light and resistant alloy, even more malleable and resistant than titanium. This specific first-choice material protects the smartphone from all damages caused by an all-day utilisation. 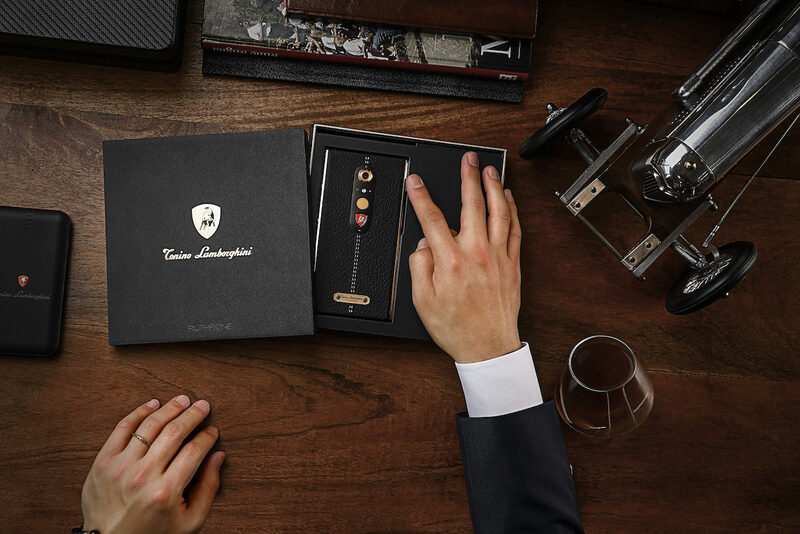 Then, it also has a comfortable grip and the case has been made with fine leather as well as a double gold line, adorned by the “Raging Bull” Lamborghini logo. 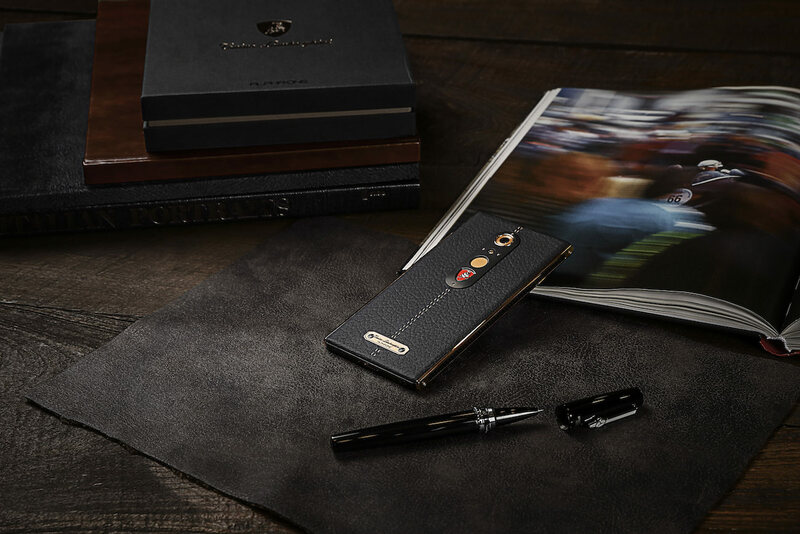 Concerning technologies, Alpha One Smartphone is equipped with a WQHD AMOLED 5.5“ color screen protected by a Gorilla Glass 4 that increases the details contrast and clarity. In addition, this glass appears to be pretty efficient as it is totally fingerprint-proof and very sensitive so you can use your smartphone even with gloves or wet hands, and its sealing will never fail you, even on rainy days. To obtain a pure sound, clear and without distortion, Alpha One Smartphone is also equipped with double Dolby Audio speakers that produce a high-quality 3D surround sound with powerful Bass. Finally, the 8 MP front camera and 20 MP main camera with optic and digital stabilizer will allow you to take extremely clear pictures and, in the meantime, the battery won’t let you fail because Alpha One Smartphone can last 314 hours on standby and up to 13 hours of talk time. 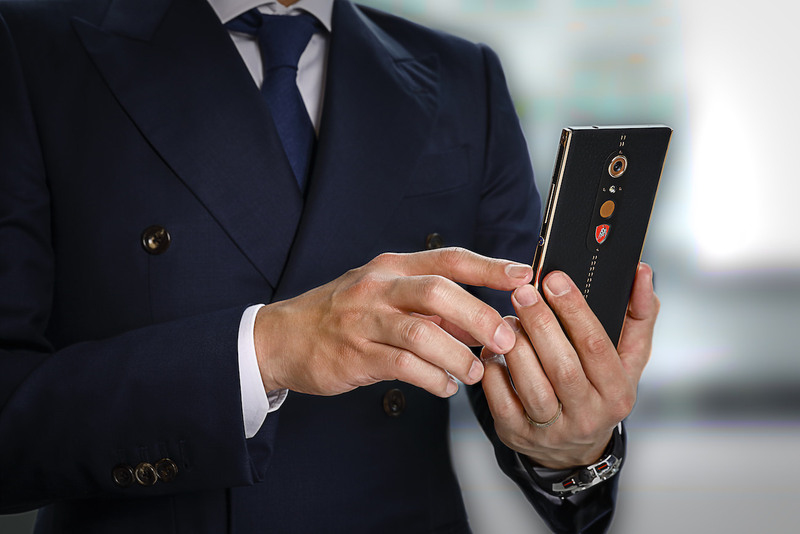 The great utility for businessmen stands in the fact that Alpha One Smartphone can support two SIM cards at the same time, for example a professional and a personal one, which also means two phone numbers to never mix personal and professional lives together! 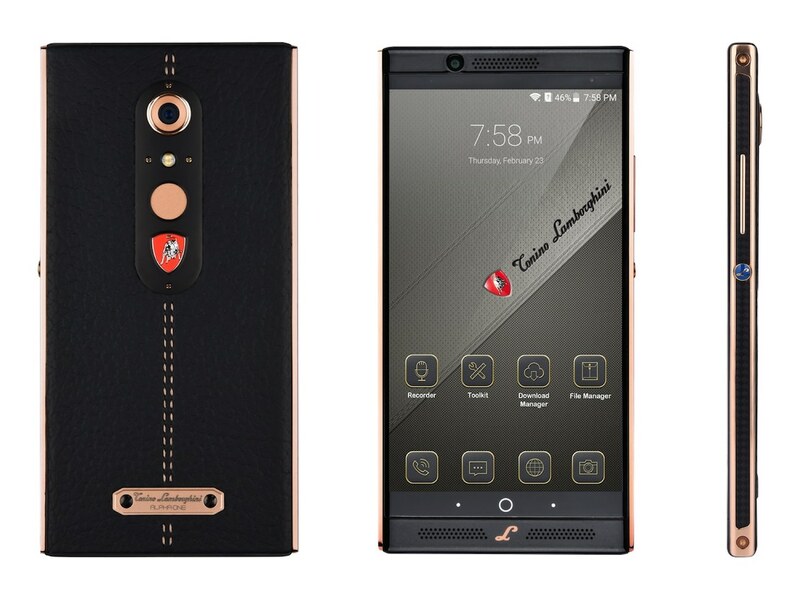 Finally, Alpha One Smartphone is powered by Android Nougat 7.0 as well as a Qualcomm Snapdragon 820 processor, 4 GB RAM + 64 GB internal memory and 128 GB of external micro-SD support. This apparel will first please Russian businessmen, then Korean and Chinese ones, and finally European before conquer United States! 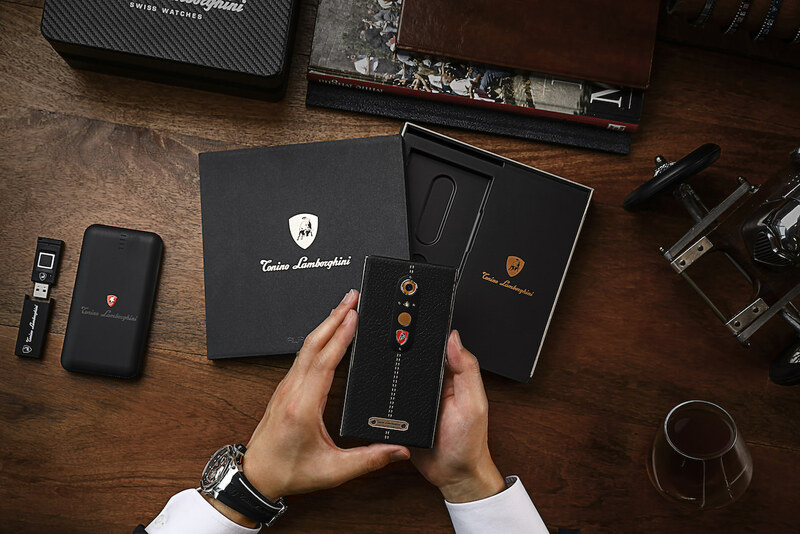 Share the post "Tonino Lamborghini reveals its last luxury smartphone with exquisite style: Alpha One"